Good grief—another example of us forgetting our glorious heritage, and I’m as much to blame as anyone. Despite my whole thing from yesterday about Gus Malzahn’s offense bringing about a culture change in the student equipment manager department, it looks as Auburn has been Ball Boy U. for as long as it’s been Running Back U., maybe even longer. 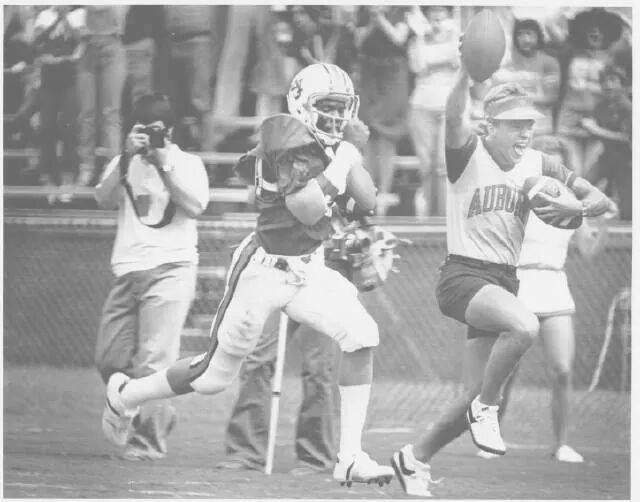 At least that’s the takeaway from this amazing photo of ball boy Barry Hocutt haulin’ down the sideline with Chris Wood in Auburn’s 1981 game against TCU, Pat Dye’s first as head coach.